Dental implants have become a popular choice of treatment in replacing individual lost teeth or entire dentitions. The physical properties of high corrosion resistance, high structural strength and high melting point, suggest the retention of intact implants following most physical assaults. As the implants are machine made, they lack the individualisation required for their use as identifiers of the deceased, however the Straumann™ Company (Waldenburg, Switzerland) has recently released information that within the chamber of their implants they have laser etched batch numbers. The number of implants with the same batch number varies from 24 to 2400. The purpose of this study was to ascertain if the batch number was still identifiable following intense heat exposure in a furnace. A Straumann™ Standard Plus 3.3 x 8 mm implant, with no healing cap nor abutment attached was incinerated to 1125 degrees Celsius. Another Straumann™ Standard Plus 3.3 x 8 mm implant was also incinerated in the same way as the first implant but with an abutment attached. The results indicated that the first implant had totally oxidised within the internal chamber whilst the second implant following the removal of the abutment revealed an intact identifiable batch number. If the companies constructing implants were to place individual serial numbers rather than batch numbers on these implants then the potential exists for a new approach to be established for the identification of the deceased. 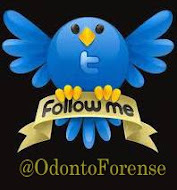 Published in: J Forensic Odontostomatol 2010;28:1:1-4.